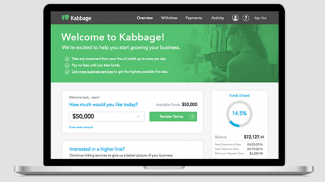 How Well Are You Managing Your Business Cash Flow? While the words may be cliché, they’re also true — particularly for the small business. Without a cushy safety net or direct line to a big bank’s lending department, survival often hinges on your ability to effectively manage the delicate balance of cash in and cash out. When there’s no cash on hand, everything is tough. Paying salaries, paying bills, buying supplies, not to mention making the investments needed to grow to the next level. If you’re looking for tips on managing your business cash flow, below are seven to think about. The key to managing your business cash flow is understanding how things stand now, and where they’re likely to go. Most businesses experience some kind of cyclical highs and lows; maybe your clients vacation in August, landscaping jobs drop off in the winter, your retail store peaks in December or leading up to a new school year. Analyze your monthly sales over the past years to look for any trends, and put together a rolling 12-month forecast. You may want to enlist the help of a bookkeeper to offload these tasks. When you start mapping things out, you can better anticipate and plan for surges in expenses and times when sales are tight. If you’re a sole proprietor or freelancer and have been pooling all your money matters in a single account, it’s time to separate your business and personal finances. It’s the only way you can get an accurate view of your business’ financial standing. Keep in mind that if your business is structured as a corporation or LLC, you’re legally required to keep separate accounts. You might think you’re the epitome of responsibility by paying your bills the minute they come in. However, it’s recommended to wait until your bill is due before paying. This way, you have cash on hand should an unexpected expense arise. Set up electronic bill pay to make the scheduling easier. Yes, there will always be ‘trouble’ clients who are notoriously slow to pay month after month. But more often, when managing your business cash flow, the biggest culprit in slow payments is your own slow invoicing. Many small business owners don’t treat their invoicing and administrative tasks as a priority compared to their client work and day-to-day activities. But the bottom line is if you don’t invoice, you don’t get paid. Create a formal structure to make sure you invoice as soon as a project is complete or deliverable sent. Set aside time each week (could be 15 minutes every Friday morning) to review your invoices, make sure nothing has slipped through the cracks, and follow up on any past-due invoices. Some businesses offer a small discount to those customers who pay their bills early — this can be a particularly effective strategy for encouraging those late-paying clients to start paying early. You can also check if some of your own vendors offer an early-bird discount. Generally speaking, leasing or taking out a loan to purchase a piece of equipment or other item will cost more than buying it outright. However, longer term financing, even leasing, can be advantageous since it frees up your cash for other expenses. Vendors will typically offer attractive deals and low interest rates for larger purchases like vehicles, computer equipment, or tools. It’s much harder to get a loan with a similarly low interest rate to cover your day-to-day expenses or payroll. If you have employees, make sure they appreciate the importance of cash flow to the health of the business. For example, sales staff should focus not just on making the sale, but also ensuring that invoices are paid on time and in full. Project team members should understand the importance of closing out a project in a timely manner in order to send out the final invoice and close the books. Keep in mind that all businesses, no matter their size, struggle with managing business cash flow at some point. You can’t avoid challenges altogether, but you can take some proactive steps to better manage your finances and anticipate shortfalls. What are some ways that you are managing your business cash flow? Managing your business cash flow can be complicated if you mix it with personal expenses. It is always best to separate the two. Excellent article. Short, sweet, and to the point. Thank you Steve! Glad you enjoyed the post! You have hit the nail on the head. 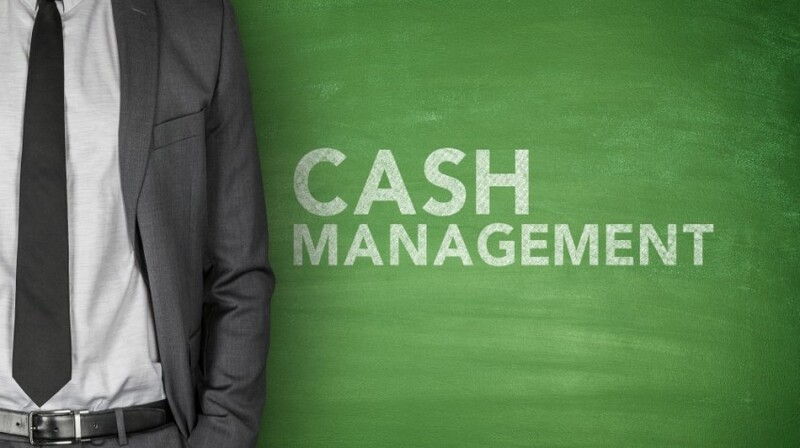 Cash management is time consuming but necessary for small businesses. Failing to manage sales tax is a leading reason small businesses fail because they have more money in the bank than is actually theirs. Many small businesses treat sales tax revenue as working capital. Bad idea!! This is bad business practice and a risky way to handle cash management. Small businesses should outsource as much of their cash management as possible including payroll and sales tax. They will sleep better at night. Great article. I have worked for several small business owners who have not seen the importance of managing or understanding their cash flow; this often leads to financial struggles down the road. If one finds themselves overwhelmed with the record keeping involved in small business ownership they should seek a qualified bookkeeper. Studies suggest the earlier business owners seek bookkeeping help the more likely they are to succeed. The cost may deter some, but it is an investment worth making. Good article and useful advice. Don’t forget to build good relationships with suppliers so when you do have a tight spot they will be understanding if you need to delay payment. However you must stick to your word! Equally on the sales side, make sure that your invoices are error free and properly supported with any relevant documentation or information. 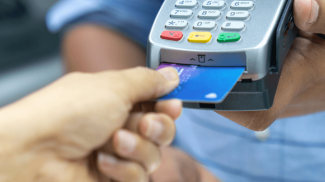 Some customer may even accelerate payment if you have been flexible with them in the past. finally make sure you do not overstock or build up work in process on projects.